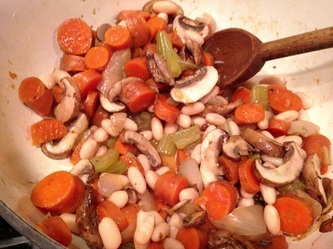 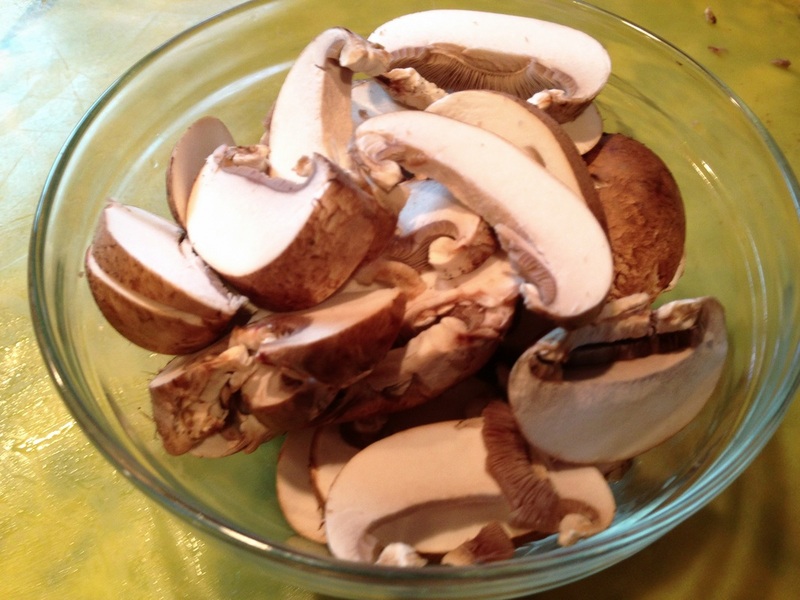 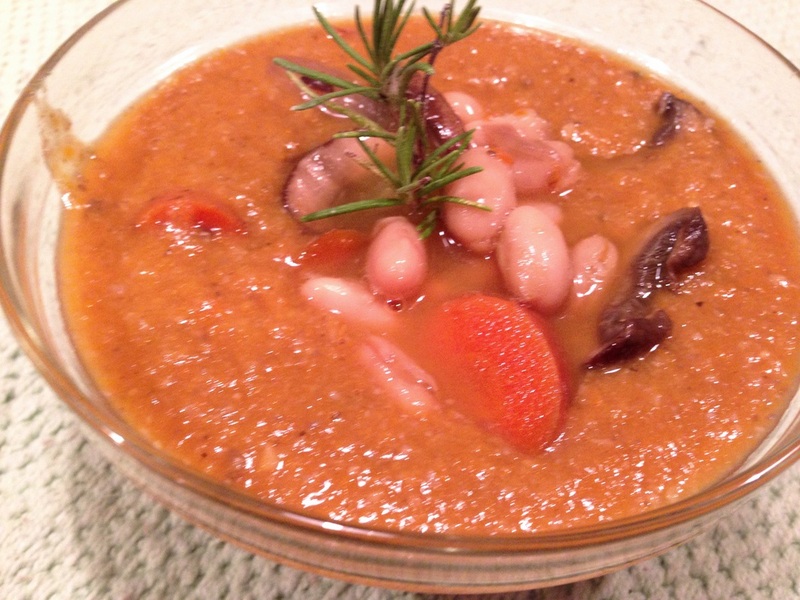 This soup is a delicious, such a great mix of flavors with the mushrooms earthy flavor and the creamy white beans, I decided to blend half the soup and keep the other half chunky. 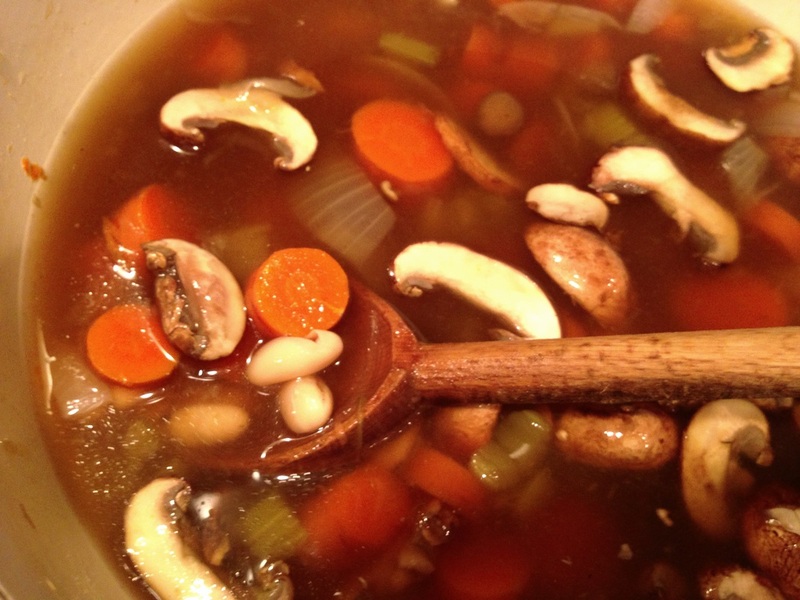 In soup pot add onion with dash of Worcestershire sauce. Cook until onion is tender. Add garlic, carrots, celery , sage, rosemary and broth. Bring to boil and turn down heat to a simmer. 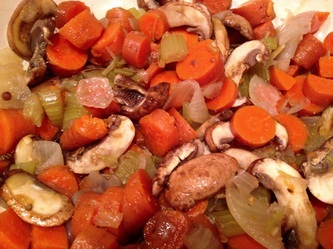 Cook until carrots are tender 20-25 minutes. 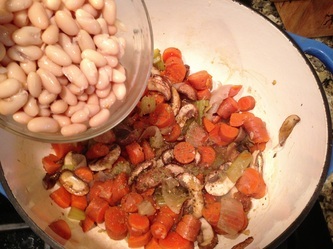 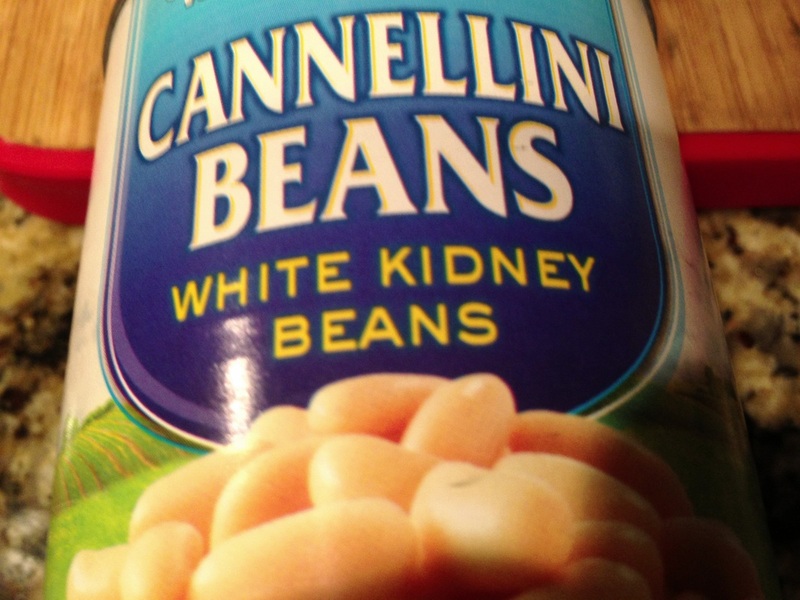 Add rinsed beans. Adjust seasoning adding salt and pepper. 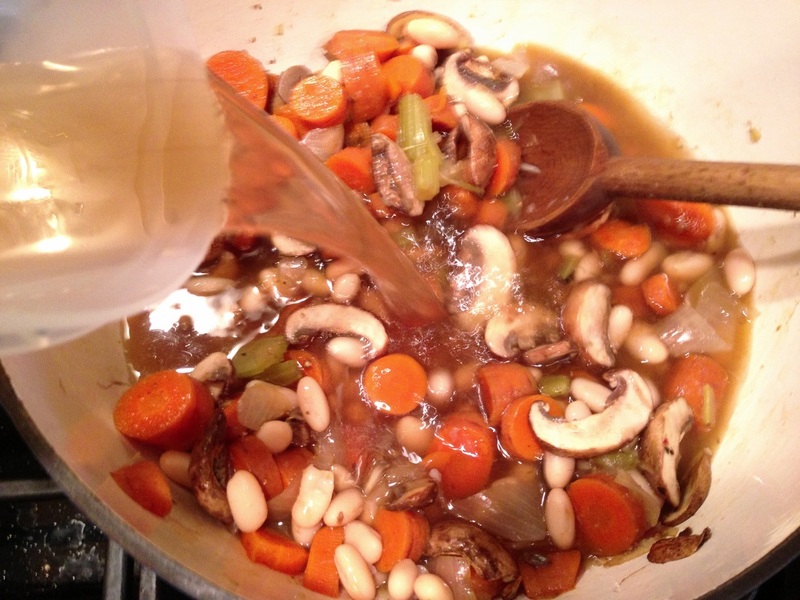 Blend half of soup using a blender. 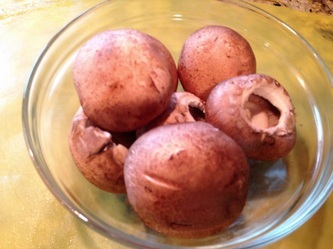 Be careful with hot soup in the blender using just one half of blender at a time. Return blended soup to soup pot and cook 5 more minutes. was a great idea, I hope you enjoy this new soup recipe.